The Fight Against the Pakistani Taliban: What Are the Costs? In December of 2014, the Pakistani Taliban waged a brutal assault against an army-run school in Peshawar, leaving 145 people dead — 132 of them uniformed school children. It was the deadliest single attack in the history of the Pakistani Taliban — known also as the TTP — prompting the government to bolster military efforts to beat the group back. These military campaigns, however, have brought unintended consequences, as some militants have been driven from strongholds in North Waziristan, South Waziristan and the Swat valley, and taken refuge in the slums of Karachi, a city of more than 20 million people. This migration has shifted a growing share of the burden of fighting the Taliban from the army, to local police units, often in conjunction with a paramilitary force known inside Pakistan as the Rangers. Police and the Rangers have helped drive down violence against citizens in Karachi, but critics have complained about their tactics, which are alleged to include torture, extrajudicial killings, and the disproportionate targeting of certain ethnic groups. 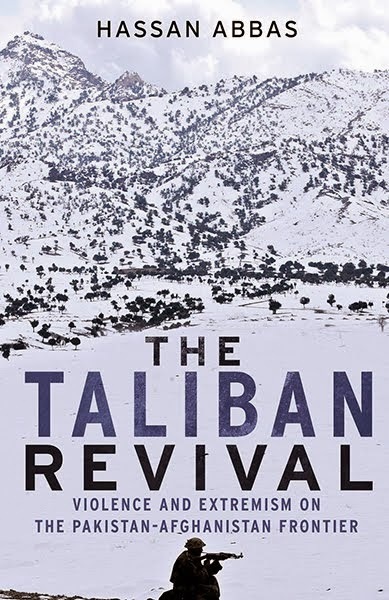 For more on the fight against the Taliban in Pakistan, FRONTLINE spoke with Hassan Abbas,who served in the administrations of former presidents Benazir Bhutto and Pervez Musharraf and is author of The Taliban Revival. Abbas is now a professor of international security affairs at National Defense University and is a Senior Advisor and Bernard Schwartz Fellow at the Asia Society. This is an edited transcript of a conversation held on Nov. 13th, 2015. The Pakistani Taliban emerged in 2007 as a unified group in Pakistan. How big of a threat are they today, eight years later? The Pakistani Taliban emerged as an umbrella group in 2007. They were called the Tehrik-i-Taliban Pakistan, or TTP. It was a new command and control system for about 30 to 40 tribal, criminal, and extremists gangs. In 2004 and 2005, the number of suicide bomb attacks in Pakistan was maybe one or two. But from 2006 onwards there was a sharp rise. And then from 2007 to early 2014, they had not only expanded the operations, they had actually created havoc in Pakistan, in alliance with Al Qaeda. The violence impacts Pakistan’s economy. Foreign investment will not come if they see the suicide attacks happening in Lahore, in Islamabad, in Peshawar. In some cases, the Taliban went after judges, they went after lawyers who were prosecuting TTP cases, and journalists as well. Through very targeted fear creation, they were able to create an environment in which people could not speak against TTP. I think their real success moment came during the 2013 elections, in which they created an atmosphere in which political parties considered relatively liberal or progressive could not go out and campaign. By creating fear in a political sphere, they were able to influence the election results, and that, from a Taliban point of view, was a huge success. Not that it was a pro-Taliban religious extremist group that won the election, but they were able to influence the result. What differentiates the Pakistani Taliban from the group in Afghanistan? The Afghan Taliban are mostly the Pashtuns who were living in Afghanistan. Many of them were trained in Pakistani madrasas, but they associate their group with the Taliban government of 1996 to 2001. The Pakistani Taliban is a separate group living on the Pakistan side of the border, and they emerged much later, in 2007, as a coherent group. There is one group that connects them, which is the Haqqani Network. They had moved back from Afghanistan after the Afghan jihad, and they were thriving in the Pakistani tribal belt. This is the same area where the Pakistan Taliban operated. But the Pakistan Taliban, by and large, are only targeting the Pakistani army, Pakistani police, Pakistani citizens. The Afghan Taliban were focused on Kabul. The Haqqani group, though they were living among the Pakistan Taliban, they were not looking towards Islamabad; they were always looking towards Kabul. So this categorization is important — they may all look alike, speak the same language, have the same narrative, but on the ground, these are different groups. In the 90s, the Pakistani defense establishment deemed the Northern Alliance in Afghanistan to be pro-Indian. They wanted to use the Afghan Taliban to counter Indian influence. There was a perception that the Afghan Taliban were friends. It turned out after 9/11 that the Afghan Taliban were giving sanctuary to Al Qaeda. But Pakistan continued to deem them “good,” or pliable Taliban. The problem for the military establishment was the later cross-pollination with the Pakistani Taliban, who became the bad Taliban. Unfortunately for the Pakistani security establishment, acquiescence of the good Taliban made the bad Taliban stronger. Pakistan has stepped up its counter-insurgency campaign, especially in the wake of last year’s Taliban attack on the Peshawar school. How successful has that campaign been? The operation, to my understanding, has been the first major well-coordinated, planned, thought-out operation against the TTP. The campaign is not only restricted to the tribal areas, but also in Peshawar and Karachi — because the TTP had expanded networks and alliances all across Pakistan. 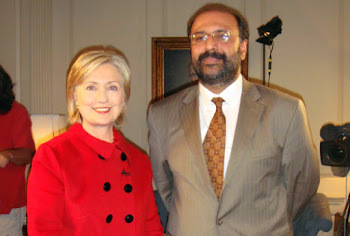 I was in Pakistan a few months ago and I interviewed security officials, even those who are critical of the military operations, and there was a kind of consensus that [the campaign] has been quite successful, at least in the tribal areas. The TTP’s hubs, which were in two or three important areas, have been cleared. The leadership is on the run. About 70 percent of the infrastructure in the tribal areas has been dismantled. TTP is not dead — their alliances with other militant groups are still alive and kicking. But it is on the run, and there are no special sanctuaries for them to operate freely. As a result, the number of suicide bombings in Pakistan has significantly declined.